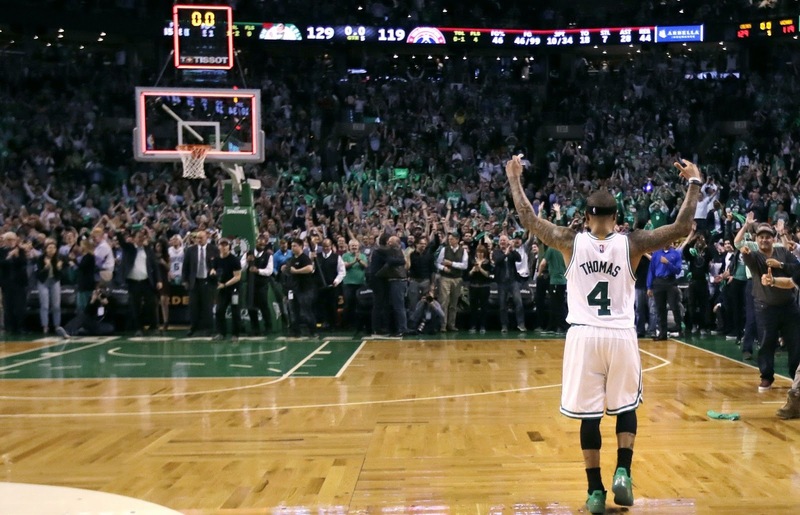 Should we be worried about Isaiah Thomas' hip? Isaiah Thomas has a hip problem, and it's a looming cloud over the Boston Celtics' next season. The issue, really, isn't just whether he'll be ready come the start of the regular season (he'll need an extended recovery, so every week that passes is another week he'll need to recover). How Thomas will perform on-court post-surgery (or sans surgery, if he skips it and should have had it) could significantly impact his performance, with no clear picture of how he'll perform long-term. Did I mention his contract is up at the end of next season? This is a lot to take in, and when you find a talent with potential like Isaiah, you take care not to treat it like his other teams have in the past - lightly. That being said, Thomas is getting older, is (as everyone knows) very short, and already pretty awful on defense. The league is not kind to short guys who are dependent on athleticism and craft to eat already, and throw in age and potential wear (or surgery) on crucial body parts to that craft, and you have a recipe for disaster. To be fair, his medical outlook can't be that bad, given the available information was still enough to convince Gordon Hayward Boston was his best shot at competing for a title, and there were other moves that could have been made (like drafting Markelle Fultz) which would have made more sense if Danny Ainge felt there was a serious risk to his longer-term production. But, even accounting for all this, there is a risk Thomas returns to the court a permanently diminished player. And, no matter what happens, Thomas will be very lucky indeed to be in peak health come October 17th, surgery or no. From a purely fiscal point of view, the fact that Isaiah's next contract is coming so soon after such an injury has an upside, if a somewhat slimy one. It should give enough time to get a baseline of where he is going to be at going forward, but perhaps not enough time to return to a form that would justify a max contract of any length. This has advantages in terms of negotiating a deal, though it seems too callous for a club like Boston to use an injury as a negotiating chip in signing a player with as deep a tie to the club as any has had over recent years, save perhaps Avery Bradley. But, the business side of the sport has also taken on added urgency around the league, even impacting the fiscally-conservative Celts a great deal this offseason with the painful but necessary moves to sign Hayward. Whatever route Boston takes with IT, it will be with the intent of making the right move for the club, and those moves aren't always easy to swallow. While it stinks that decisions often have to be made on an empirical basis over an emotional one, such an approach is ultimately the one that rewards those who work both hard and smart, the ethos of the Celtics if ever there was one. Until we know what's what, let's all hope for the best - but plan for the worst.